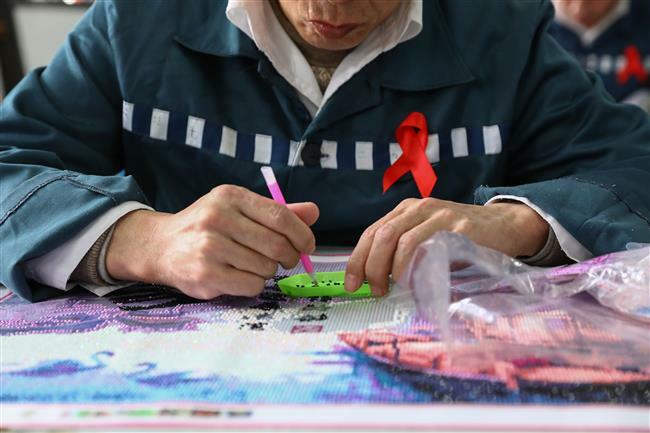 The number of cases of misbehavior by HIV carriers at a Shanghai prisoner holding center has dropped by 80 percent since July last year. 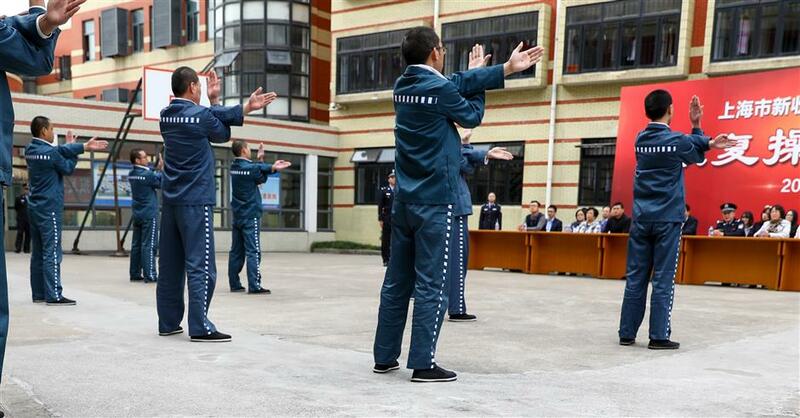 Inmates do exercises at the prisoner holding center in Songjiang District yesterday. 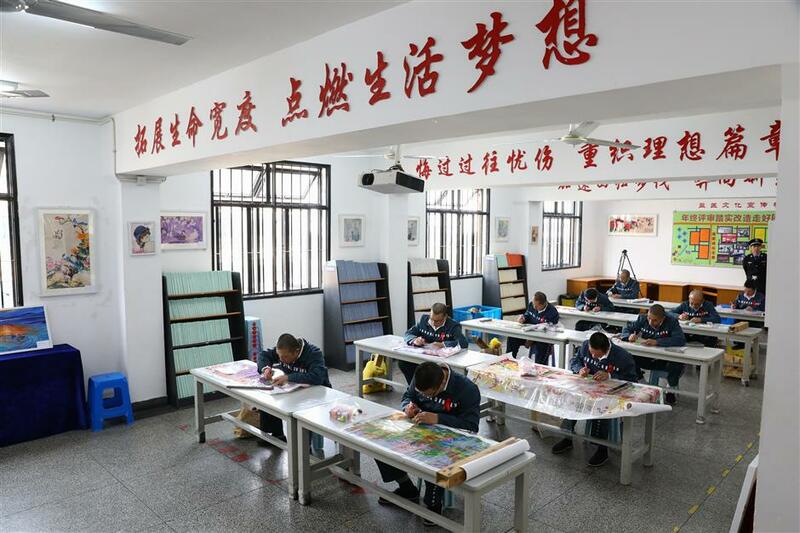 The behavior of prisoners with HIV at a Shanghai prisoner holding center has been transformed after an HIV section was set up at the jail last year. Prison officials said the number of cases of misbehavior had since dropped by 80 percent. The center established the HIV section in July 2016. “We receive convicted HIV carriers from detention centers as well as those who are diagnosed here during the health check when they first arrive,” said Mao. HIV carriers at the center are mostly poorly educated, and many of them used to refuse to take medicine for fear of the side-effects, prison officials said. Officers said it took a year or so to educate prisoners on the importance of treatment, and now over 90 percent of the HIV carriers are taking medicine regularly. An inmate (right) meets his family at the prisoner holding center. The holding center acts as an orientation camp for new prisoners. Those sentenced to over one year will undergo a two-month orientation before they are sent out to other prisons according to the crime they committed. Those whose sentence is less than a year will have a two-week orientation. Prisoners in the HIV center do handicraft work. Mao recalled that a few days after the HIV section was set up, a prisoner fainted during work. “He was around 50 and had a heart problem,” said Mao. 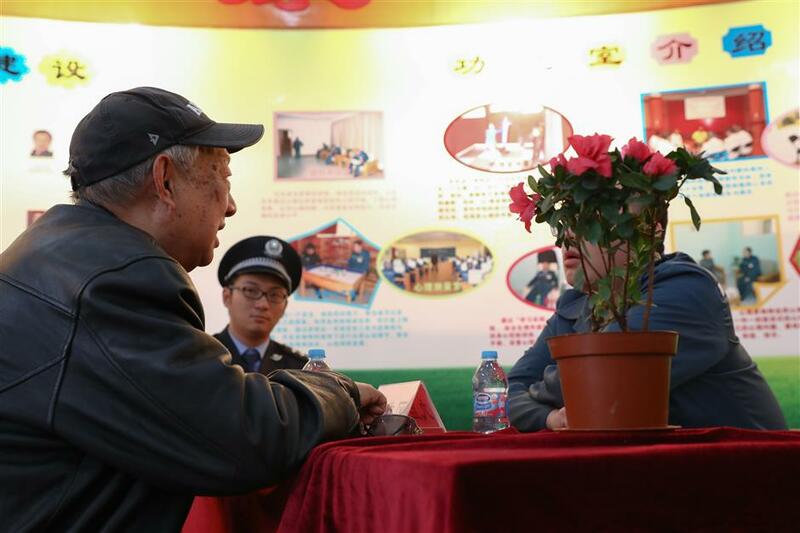 Another officer Wang Jing acted promptly and performed CPR and artificial respiration to save the prisoner. Another officer, who majored in physical education, designed a set of exercises for the prison’s HIV carriers to help them to strengthen their immunity. As a result, prisoners in the HIV center are more willing to obey orders and are more willing to receive treatment.